PowerPro Braided Line - 275m. Micro filament 100% Spectra braid line is the ultimate combination of modern technology and old-fashioned fishing knowledge. PowerPro braided line provides consistent, trouble-free performance on all types of reel - from the smallest ultra-lights to the largest bait casters. You'll cast further and with greater accuracy every time, and feel each tiny twitch of your lure - allowing you to acheive more consistent hook sets. Green is also suited for fishing in clear lakes to lakes that have large algae blooms. Because green is similar to many bio organisms, it will "blend-in" to the background of the typical surroundings with which a fish is familiar. 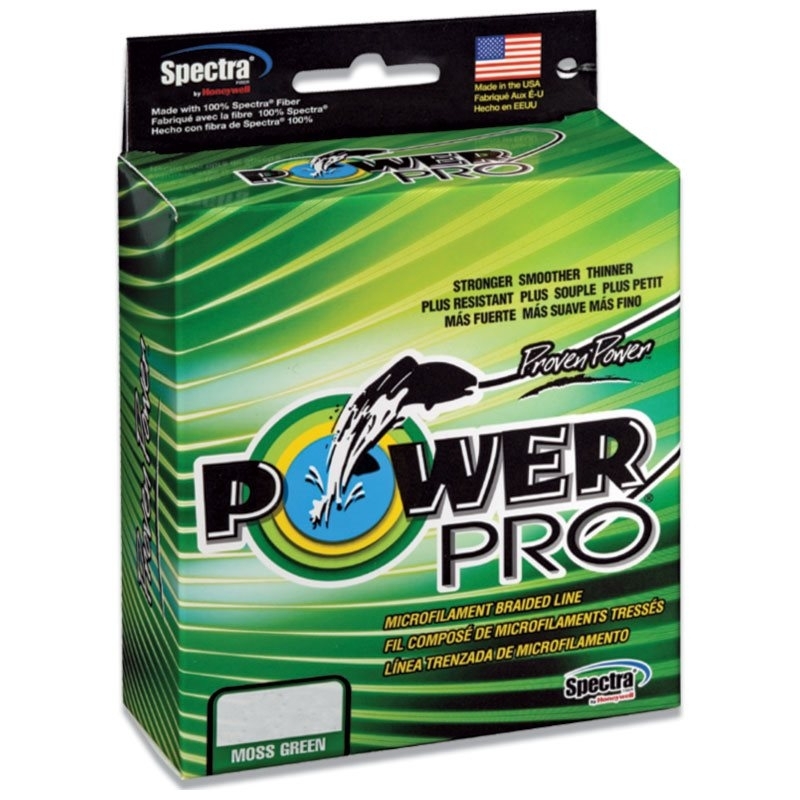 I was recommended Power Pro by a friend some years ago and not had any problems with it. I thought it time I replaced the original and was pleased to see i could still buy it. Not like a lot of things these days here one minute gone the next. Its very good fishing line have tried other brands but always end up coming back to PowerPro casts well knots well and has good abrasion resistance for a braided line.